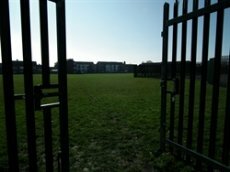 Why do School Grounds matter? On average pupils spend up to 25% of their time at school outside. The school grounds are potentially as important to the education and overall well-being of children as are school buildings, but they are often and under-used and under-regarded asset. 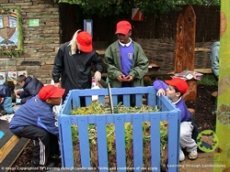 School grounds are a vital resource for learning and offer unique opportunities to deliver and enhance all area of the curriculum, formal and informal, all year round. They provide different opportunities and experiences, and support all styles of learning. Many pupils who struggle inside classroom flourish outside of it, and outdoor learning can help to raise attainment. Children read messages and meanings from the quality of their surroundings. The quality of the outside space has a huge impact on children’s attitudes and behaviour towards school and towards each other. Giving children and young people a say in the way their grounds are used and improved enable them to learn to create and look after something that is relevant and valuable. Involving children fully in the process of change helps to develop a wide range of life skills, and can improve confidence and self-esteem. School grounds provide numerous opportunities for the wider school community to get involved in the life of the school, and are a familiar and unthreatening space. Families, local community groups and businesses can help support school grounds projects, and benefit from their outcomes. For schools looking to change or develop their site many school grounds professional advocate a 4 stage cyclical process of change – where are we now? Where do we want to be? How do we get there? Making the changes. This process provides countless learning opportunities, and gives the whole school community and opportunity to get involved. 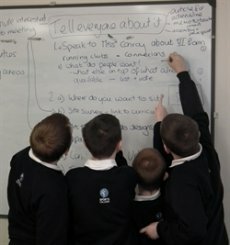 Making such a process fully participative helps to ensure that your outcomes are exactly what are needed and wanted, and helps pupils and staff alike feel valued and engaged. Such a process can also be applied to simply adapting how a space is used, and the outcomes will be just as impressive. 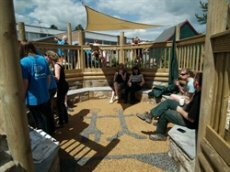 With good use, design and management EVERYONE can have great school grounds, whether you have a lot or a little, whether it is grass or tarmac, whether you have a large budget to spend or next to nothing. What do you want to do in your school grounds?